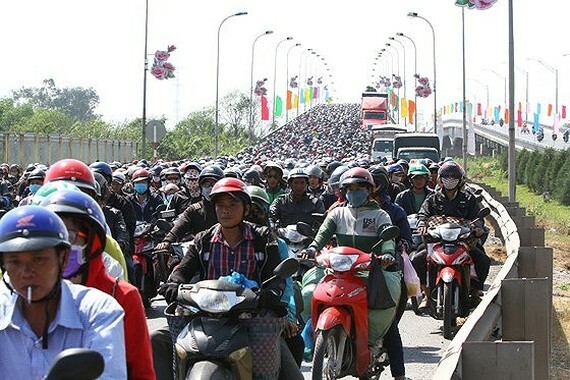 Provinces in the Mekong Delta proposed new investment projects to clear traffic jam at a meeting between the Ministry of Transport and leaders of HCMC People's Committee and the provinces in Hanoi yesterday. Specifically, Mekong Delta localities proposed new investment and upgrading projects in places of traffic congestion such as nine narrow bridges causing serious traffic jams in National Highway 1A across Tien Giang province during the holidays, construction of Dai Ngai and Rach Mieu 2 Bridges, expansion of Highway 50 and 60 across Tra Vinh and Soc Trang province, expansion of Ho Chi Minh City-Trung Luong Expressway and completion of Trung Luong - Can Tho Expressway. Delegates at the meeting discussed preparation for contents relating to traffic connection between Ho Chi Minh City and Mekong Delta provinces to submit to the Prime Minister. Provinces in the Mekong Delta emphasized the need of upgrading Gao Market canal to allow large cargo ships to enter the Hau River, building Ho Chi Minh City- Moc Bai expressway. 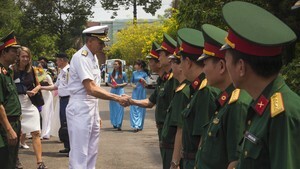 Representatives of Tay Ninh province petitioned the Government to allow Ho Chi Minh City in collaboration with the province to call for investment in the Ho Chi Minh City- Moc Bai Expressway under the form of public-private partnerships (PPP) in case that the Government is short of of investment funds. At the meeting, Deputy Chairman of the Ho Chi Minh City People’s Committee Tran Vinh Tuyen said that the city has prepared VND 3,000 billion (US$ 129.2 million) of counterpart funds to invest in the Belt Road 3 but the project has not been implemented due to capital shortage. Receiving the proposals of the Mekong Delta localities, the Ministry of Transport said that it would submit these proposals to the Prime Minister at the forthcoming working session on the Mekong Delta region’s economic development. In the near future, the ministry will determine priority investment projects for the whole region.